There are countless articles supporting supporting the sustainable food movement, but I've found David Morris's contribution particularly helpful. "Is Eating Local the Best Choice?" Yesterday, students from various colleges throughout New York state gathered to discuss ways to collaborate on Food Sustainability issues. The meeting was a huge success, and included at least five representatives from the Barnard/Columbia community. 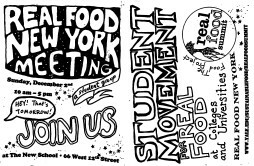 - decision that the Real Food New York! group will meeting occasionally (1x / semester) and act as an open-source resource pool. 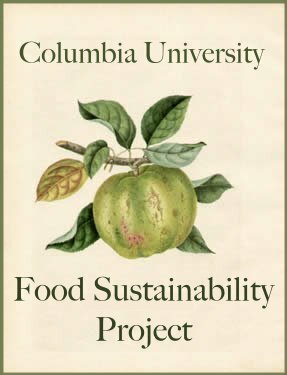 COLUMBIA FOOD SUSTAINABILITY PROJECT **REVIVAL** MEETING!!! !